Home Travel 6 Shimla tourist places you must visit during the winters! 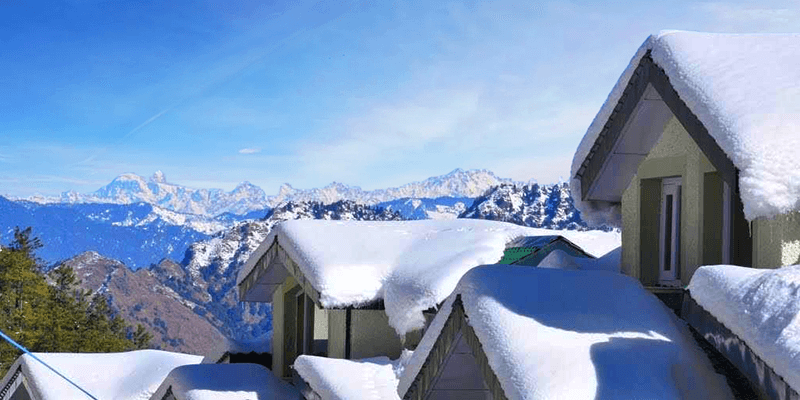 6 Shimla tourist places you must visit during the winters! 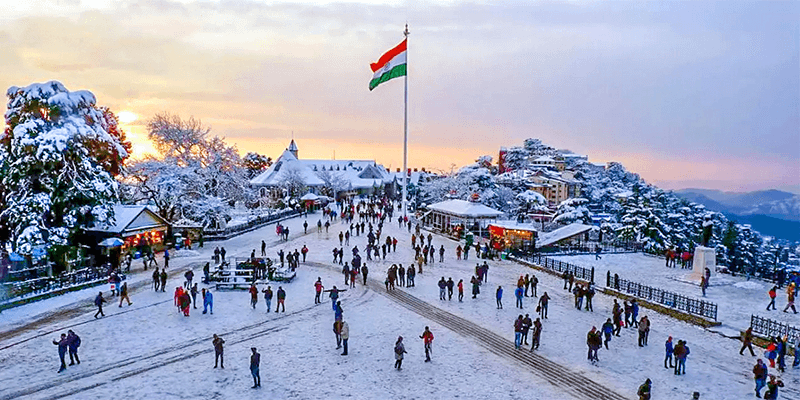 Shimla is, arguably, the most visited winter destination in India. And there is a huge demand for Shimla tour packages between the months of December and February each year. Though this beautiful hill station in Himachal Pradesh (known as the ‘Queen of Hills’ for its beauty) is thronged by tourists all through the year, yet there is something heavenly about the winters in Shimla. 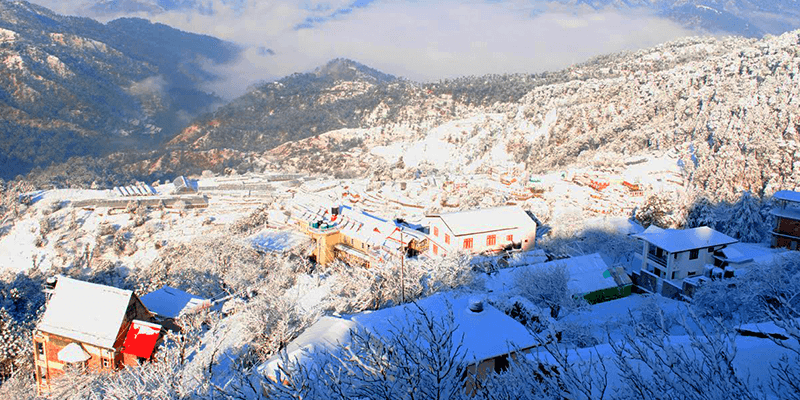 With the first snowfall of the season, Shimla tourist places wear a new charming look. So, if you want to spend some time on the snow and enjoying the splendors of Indian winters then plan a Shimla sightseeing trip. But before you book any of the Himachal tour packages make sure the below mentioned winter wonderlands are included in the tour schedule. The best way to reach Shimla would be by hiring an outstation cab or booking Volvo bus tickets from Delhi or Chandigarh. We strongly recommend taking a Volvo to Shimla. It is not only affordable but offers the best views of beautiful roads. You will see clouds on the way, varied variety of trees and plants and of course find some snow (during the winter months only) on the road-side even before you reach Shimla. Located 10 KM away from Shimla, Kufri is one of the most sought after Shimla sightseeing destinations during the winter months. 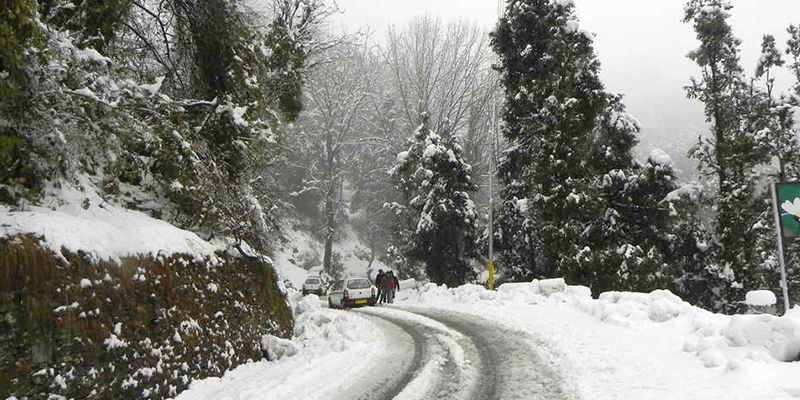 As Kufri is at a higher altitude, then Shimla, it wears a thick covering of snow during the winter months. And that turns Kufri into a haven for skiers. 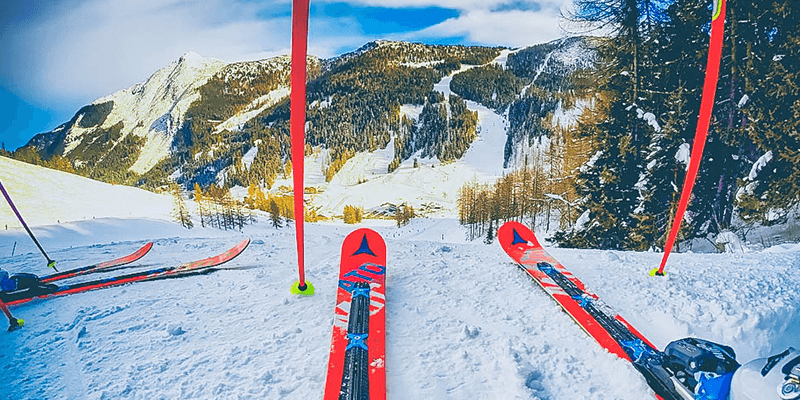 Worry not if you have not tried skiing beforehand, for there are local experts who would tune you up with their short courses on skiing maneuvers. There are plenty of shops where you can buy or rent skiing gear for your fun on the snow! There is a winter sports festival held in the month of February each year on the slopes of Kufri and it is a huge crowd puller. 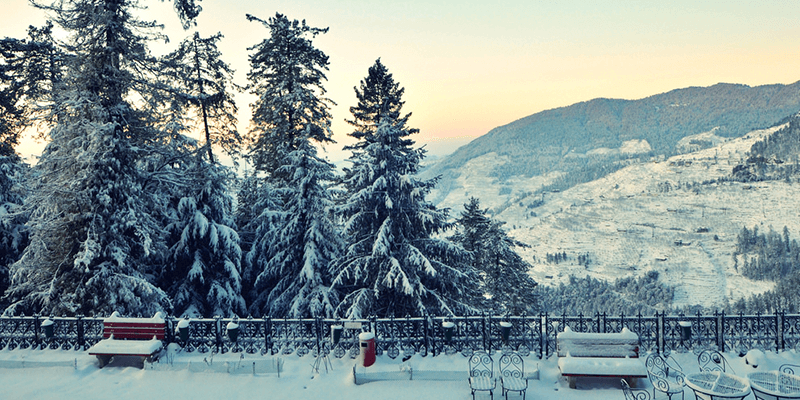 Apart from skiing fun, Kufri offers mesmerizing views of the snow clad peaks from its vantage points. Craving for more adventure options? Then Mashobra would fulfill your cravings. Situated amidst the Shimla Reserve Forests, this small town offers an array of adventure activities. With plenty of snowfall during the winter, skiing is of course one of the options in Mashobra. But you can also engage in trekking and rappelling as well. If you like simpler activities then try throwing snowballs at your friends and companions, it is one of the activities tourists are seen to engage in and enjoy while in Mashobra. 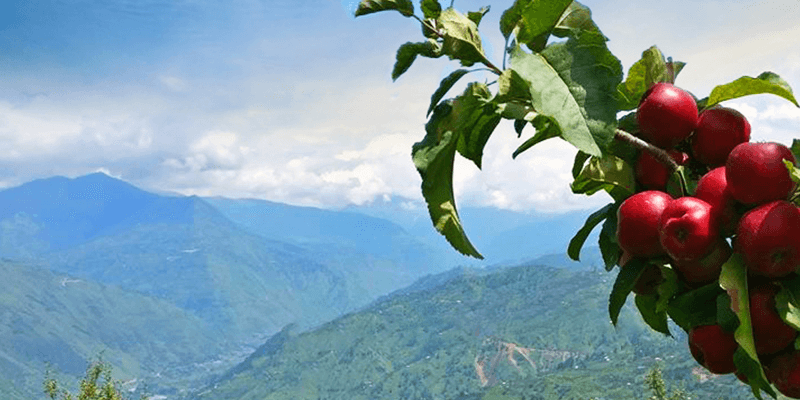 Himachal Pradesh is known for its crunchy and juicy apples. Apple production is something that has been a prime source of income for the locals here. Rohru is a jewel in the crown of HP, when it comes to apples. Offering a variety of apples, this place is thronged by tourists willing to see how apples are plucked, packed and used for other apple products. But, Rohru is also famous for angling. Come December, the streams of the town are visited by Trout fishes and that offers a handsome catch to the tourists. Shortly afterwards, all the streams vanish and snowfall turns Rohru into a beautiful white paradise. Hand gliding, trekking and strolling alongside beautiful snowy mountains are the other popular activities at Rohru. Narkanda is a two-hour drive from Shimla. Located at an altitude of 7,400 feet, during winters Narkanda is abundantly blessed with panoramic views and snow-capped peaks . December is the best month to visit Narkanda, when it snows heavily here. Since 1980 HPDC has been conducting skiing courses here promoting Shimla tourism during winters, which has been a regular event. The varied slopes that get covered with snow in winters are perfect for beginners and even the most experienced skiers. Home to the world’s highest cricket ground, Chail is close to Shimla and has a military school for boys. Chail Palace, which has been converted into a heritage hotel, set amidst pine and deodar trees is a prime tourist attraction of Chail. This small town is also popular for hiking and has the world’s highest polo ground too. Chail Wildlife Sanctuary offers you a scope to witness some of the Himalayan species of animals. This hill station is a dream destination for nature lover and particularly a photographer. There are many places in Chail you will get beautiful shots. As the temperatures start dipping, Shimla becomes a hotbed of activities. During the winter months (December-February) a Winter Carnival is organized in the city. Various cultural activities, dances and folk songs are organized through the festival. Tourists can engaged in activities like ice-skating, skiing, snowman making, etc. Ice racing, torch race, and figure skating are other events that you can indulge in. Apart from this, there are many places in the city you must check out during the winter months. These include: The Ridge, Jakhoo Hill (or Jakhoo Temple) and Summer Hills. If you want to spend a memorable winter holiday, then Shimla should be your go-to destination. Snow just brings out the best in the hill station. So, when are you paying a visit to the “Queen of Hills”? Beautiful roads of Himachal Pradesh you must definitely ride through! It’s too good and beautiful heart touching so carry on with this travel information well done.